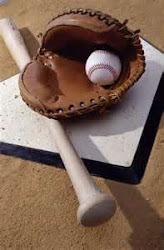 As you can imagine, yours truly gets bombarded by HUNDREDS of e-mails and tweets per day asking for advice on various fantasy baseball/fantasy football issues throughout each and every season. While I surely can't get to everyone, I know will offer you direct access to myself for the upcoming 2017 fantasy baseball season. For $30 per month or $100 flat rate for the season, I work for your as your source of trade opinions, closer updates, pickups/drops, and whatever else you want me to answer throughout the course of the 2017 season. Any inquiry will be answered within an hour and when I mean direct access, I truly mean direct access for those who join. So get on board now and let's win our leagues together. Use one of the two options below.